Zhengzhou CamelWay Machinery manufacture produces tower cranes, construction elevators, concrete mixing stations, JS concrete mixers, concrete batching machines, stabilized soil mixing stations, wheel loaders, concrete transport tanks, JZC concrete mixers and other construction machinery. 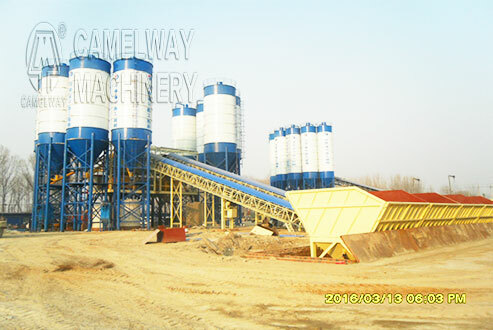 Then, CamelWay company will introduce One-stage type concrete batching plant to you. Features: Material can be lifted to the high point once, then discharging to the concrete mixer. Advantages: full-closure type, fit for every client condition, with long life time, easy for maintenance. Disadvantages: it occupies large area, with large investment. What are Models of JZM series Concrete Mixer?